Thanks to its three different cleaning modes and advanced sensors, the Oral­-B Pro 4000 CrossAction electric toothbrush can keep your teeth clean and white. 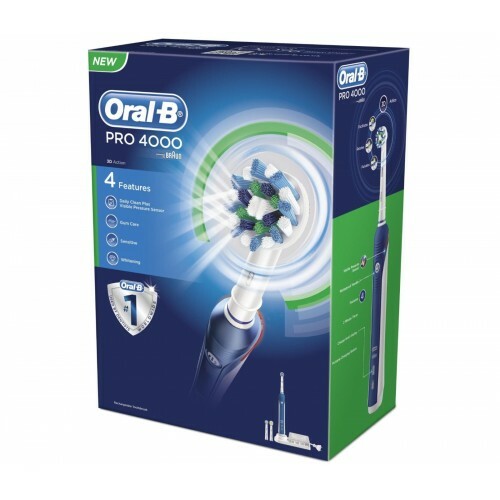 The Daily Clean mode of the Oral­-B Pro 4000 CrossAction electric toothbrush features 3D movement technology, which allows the brushhead to oscillate, rotate and pulsate to strip even the most stubborn plaque from your teeth. Meanwhile, the Gum Care pressure sensor lets you know if you are pressing too hard. 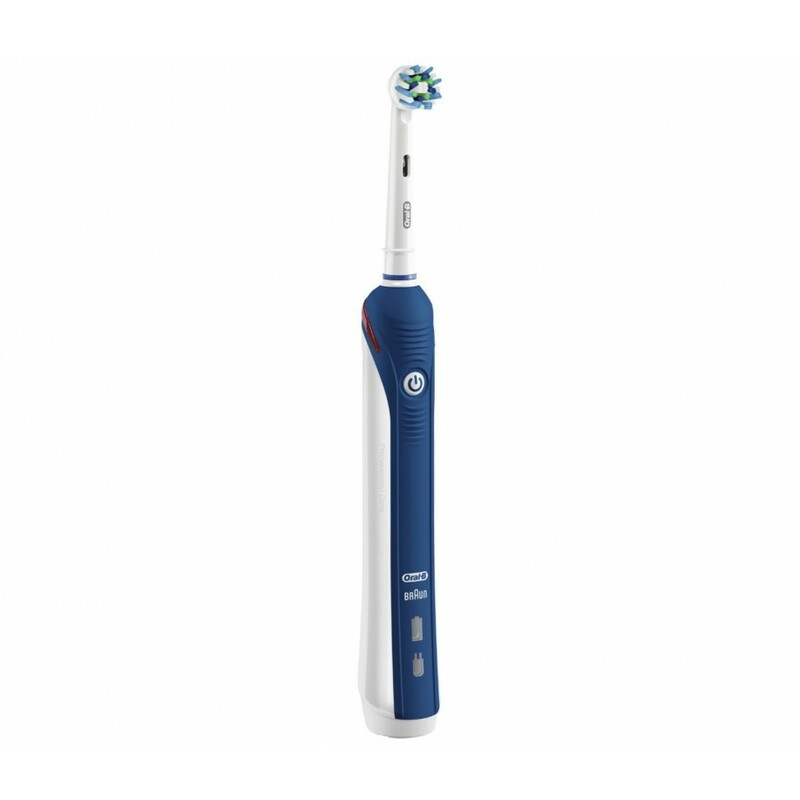 If you experience sensitivity while brushing your teeth, then you might want to try the Oral­-B Sensitive brush head, which still gives a thorough clean but is gentle on teeth and gums. 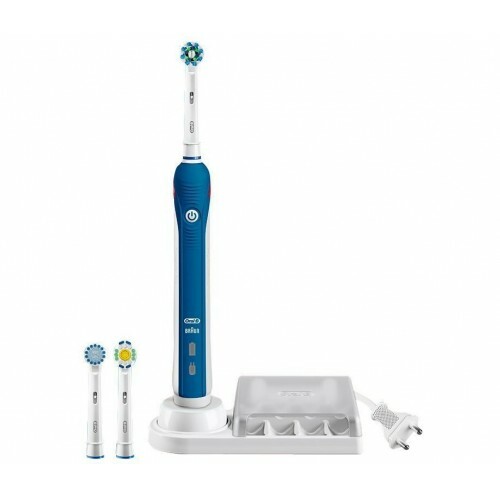 The final option is Whitening mode, which uses a rubber polishing cup in the center of the brush head to naturally whiten teeth. Switching between the different modes is easy -­ simply pull the brush head off the base of the brush and clip another one into place. 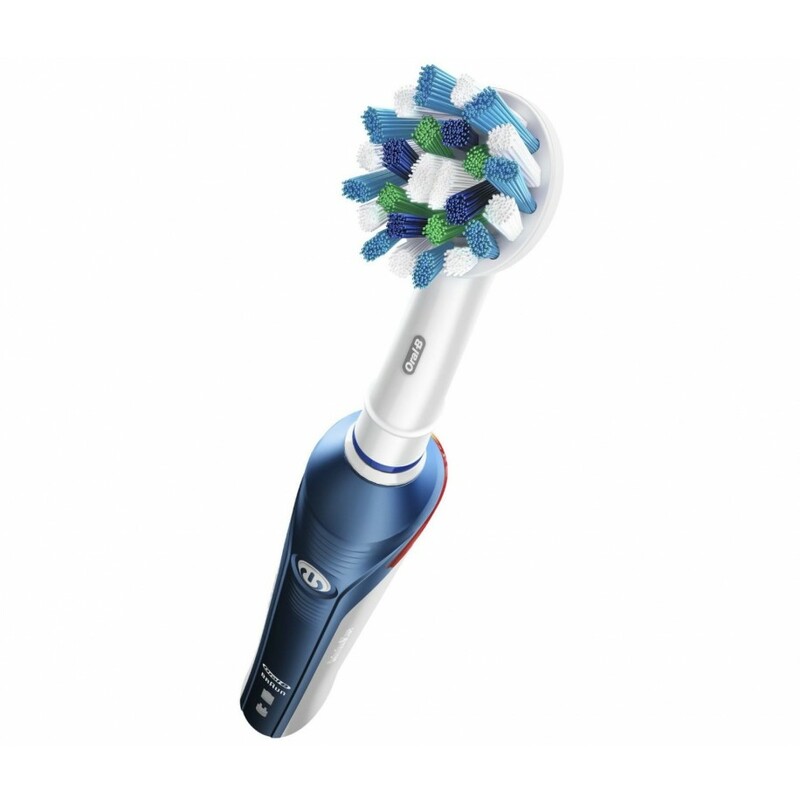 You'll also know exactly when you need to replace a brush head, thanks to the indicator bristles that fade to let you know when it's time for a change. The Oral­-B Pro 4000 CrossAction toothbrush removes up to 100 percent more plaque from your teeth than a manual brush, helping you to stay free from cavities.